"Thanks to teaching, I can take that step back, reflect and improve." 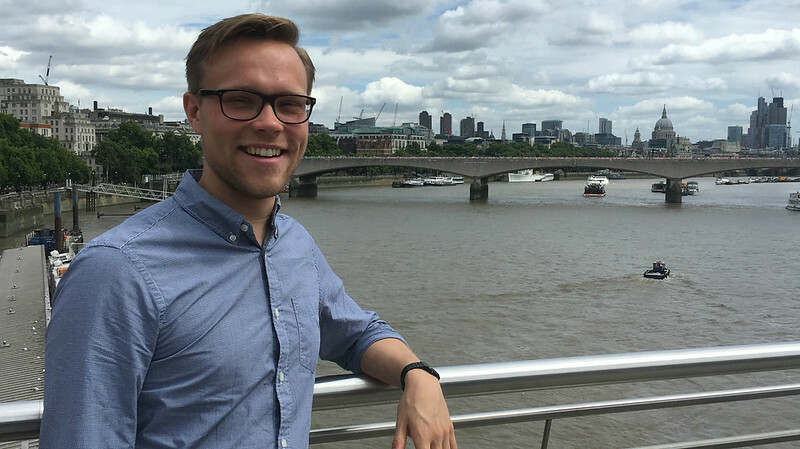 Alex Cousen, final year PhD Researcher, describes how teaching at Bath has helped him to educate so many more people about the wonderful world of science. Any scientist worth their salt, no matter the discipline, should be able to do two things; firstly, they should be able to carry out excellent and exciting research, and secondly, to communicate that knowledge effectively and clearly to anyone who is interested. These were some of the first lessons I learnt after starting my PhD in the Department of Chemistry and no matter where I have been throughout my relatively short academic career, these words have always rung loud and true. Doing a PhD provides so many amazing opportunities. For me, teaching and educating people about the wonderful world of science has been one of the real pinnacles. Being a postgraduate within the Faculty of Science really allows individuals to get stuck into teaching roles early, be it from demonstrating practical skills and principles in undergraduate laboratories, to getting involved with tutorials and to mentoring Masters students in final year research projects. I have been lucky to be involved in all of these activities and they have allowed me to develop so many skills, particularly that of effective communication. One of the main highlights for me was organising, structuring and conducting my own tutorials for first year physical chemists. The experience really allowed me to reflect on how individuals learn and how effective I was at conveying information. I remember my first tutorial clearly. I was excited and must have seemed way too keen to my new tutees. Rather than have the vibrant discussion on thermodynamics that I had expected, the students were quiet and it took a lot of encouragement to get anything out of them. The experience was key to my development as a teacher, as it made me reflect on how I was engaging with my students and how I needed to adapt my technique in order for them to have a better learning experience. Thanks to teaching, I can take that step back, reflect and improve. This has been key in all areas of my teaching and has been an important step in gaining recognition as an Associate Fellow of the Higher Education Authority (HEA). But teaching is not just standing in front of a load of people and talking. Nor is it just for University students. Engaging and educating people outside of academic circles has also been a great highlight for me. From helping to organise ‘Pint of Science 2016’ to getting involved in the ‘Young Researchers’ program at the Bath Royal Literary and Scientific Institute, the ability to communicate effectively has always been an important skill. All these experiences have been critical in my considerations for my next career steps, but the main reason for doing them was to have fun! If I were to give any advice to others, it would be to get involved in teaching and engaging for the right reasons. These could be to better yourself, to develop skills, to meet new and diverse people or even to just enjoy yourself!